Each of these age groups receive an 12-game season plus playoffs. Age divisions from 6-14 will conclude with a medal ceremony and pizza party. 15-17 Division winners will receive Division Champs Hats. Similar to our co-ed youth ball hockey divisions, each age group will receive an 12-game season plus playoffs. Both leagues will end with a medal ceremony and pizza party. 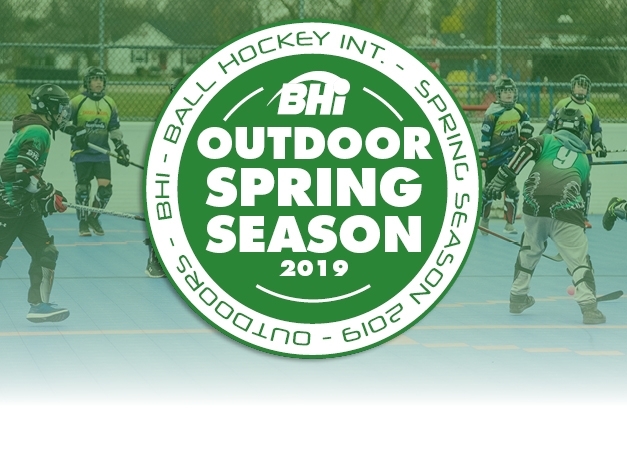 The adult ball hockey leagues at BHi take adult sports leagues to a new level of fun! 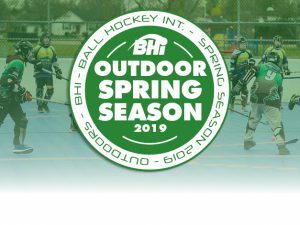 The Spring season begins in March at both of our outdoor ball hockey facilities. Ladies Division includes 8 games plus playoffs. Co-Ed Division includes 8 games plus playoffs.